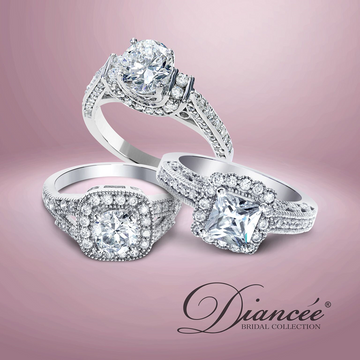 Diancee Bridal is a collection of engagement and wedding rings that you may customize to fit your style. Quick turnaround time. Please call the store with any questions or should you desire a quote on your customized ring. 910-803-2200.